The Miller Center has some history lessons for the next occupant of the oval office. Will he use them? Will she? by S. Richard Gard Jr. 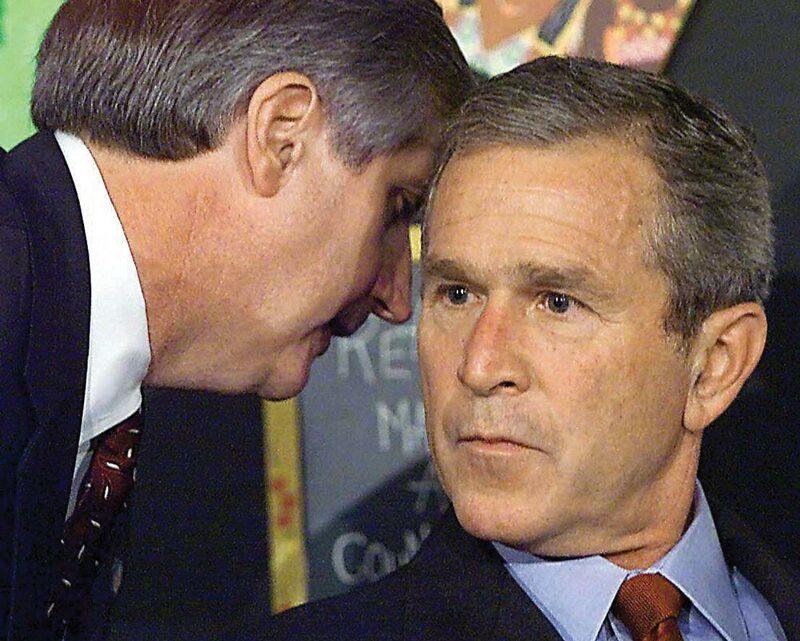 If there’s a single image that tells the story of the first year of the modern U.S. presidency, it’s the photograph of Chief of Staff Andrew Card whispering to President George W. Bush in a Florida classroom on the morning of September 11, 2001. It was Bush’s 34th week on the job. Bush had flown to Sarasota to promote education reform, the No Child Left Behind package Congress had passed that June. He had been governing largely on domestic policy. It fit the mood of the country, and it suited his natural inclination as a former governor. And then Card entered the second-grade classroom at Emma E. Booker Elementary School. He had chosen his words and planned his moves with economy, seeking to keep the disruption to a minimum. Once he had delivered his message, he would step away to prevent the president from asking him a question. Card didn’t want to prompt a national security colloquy in front of 7- and 8-year-olds and the grown-up pool of journalists. There, at that moment, in the photograph, in the intensity of Bush’s gaze, in the tightness of his mouth, you see a president initiated into the presidency. Bush wasn’t the first new president to see his domestic agenda diverted overseas. Bill Clinton campaigned with the strategy “It’s the economy, stupid.” Only it wasn’t, not when he took office, not entirely. By his first October, Clinton’s highest priorities came crashing down in the streets of Mogadishu along with two Black Hawk helicopters. Even Woodrow Wilson, the internationalist who took the country into World War I and, afterward, tried to take it into the League of Nations, came into office fully expecting he’d have nothing to do with foreign policy. So there’s a pattern. In fact, when you study presidential first years, there are several. That’s the basis for the First Year Project, an initiative of the Miller Center, the University of Virginia-affiliated nonpartisan think tank devoted to the study of the presidency. Launched last year and going full force during the current election season and continuing into 2018, the First Year Project has been examining the history of presidential rookie years, identifying the universal truths, and distilling the information into sets of briefing memos and management advice for the next president. 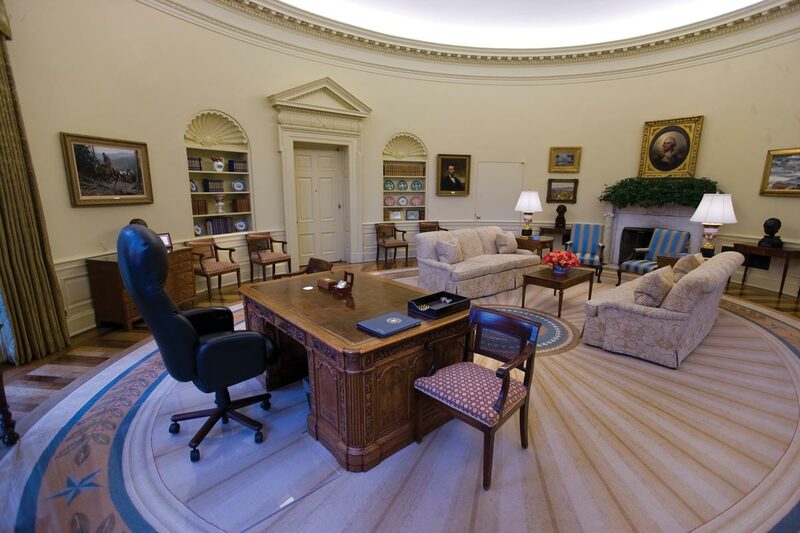 The effort draws on the Miller Center’s considerable assets, including the oral histories it has conducted going back to the Carter administration; its curated archive of the secret White House recordings from the Kennedy, Johnson and Nixon administrations, and select others going back to FDR; its encyclopedic biographical information on all 43 American presidents; and its extensive network of scholars and experts, in-residence, throughout the University and around the country. Using a Miller Center companion website as its primary platform, the project makes use of other distribution channels as well: its syndicated public-affairs television show, American Forum; a series of live events for political A-listers; and a direct-messaging and networking campaign. The goal is to get First Year analysis in front of the people most likely to serve in or influence the new administration, including the chief executive. In all, the project seeks to resolve the central dilemma of the presidential first year: that a president’s greatest opportunity for accomplishment exactly coincides with the president’s least amount of on-the-job knowledge. Falter in the first year and you could hobble the rest of your presidency (think: Jimmy Carter). Master it and your success will compound (our own Thomas Jefferson). Or there’s a third way: Fail fast, learn, and adjust (John F. Kennedy). Ambitious in scope, the program carries even higher aspirations when it comes to practical application. It’s determined not to be just another academic study by yet another think tank. Rather, the Miller Center seeks to create a road atlas by which senior-level officials will actually steer. Done well, and if circumstances and connections align just right, the First Year Project has the potential to affect the course of the next presidency and those that come after it. The overhanging question is, how open either leading candidate will be to advice on how he or she should govern. And that may depend on whether it’s he, or she. The First Year Project began as a glimmer of an idea when William J. Antholis (Col ’86) applied for his current position as Miller Center chief executive and director, back in the fall of 2014. He saw an opportunity to frame the work of the presidential studies center around the run-up to the 2016 election and its aftermath. “We had, at the time, a year and a half of presidential elections going on. We would have a transition to office and a new president. That’s what the next three years would look like,” he says. Weeks after his start date, Antholis convened a retreat in the rolling hills south of Monticello for his team to come up with a project keyed to the election. 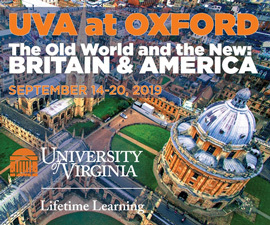 The participants credit UVA history professor and Miller Center scholar Will Hitchcock with coming up with the first-year focus. He was working on an Eisenhower biography and immersed at the time in 1953, the year the newly elected political outsider was trying to get his bearings in the White House. Hitchcock’s pitch: Every president has a first year; there may be some lessons we can learn by looking at previous presidencies. As soon as he said that, Antholis says, people around the room started building on his idea, citing what have become some of the First Year Project’s chief selling points: First years have their own timeline, including staffing the executive branch and preparing the first budget. They’re when a president has anything close to a mandate. And, history has shown, they’re often when foreign actors act up, testing the authority and attention span of the new president. The First Year Project is a Miller Center twist on something Antholis helped lead at the Brookings Institution, where he had served as managing director the previous 10 years. For the 2008 election, Brookings published a single-volume collection of short policy papers called Opportunity 08: Independent Ideas for America’s Next President. The Miller Center project goes beyond policy prescriptions to focus on management of the presidency. It plays to the Miller Center’s core brand, presidential history, and gives it the forward thrust of its core mission, to apply history to the present. After the retreat, the wheels started turning. The next day Barbara Perry (Grad ’86), who co-chairs the Miller Center’s presidential oral history program, dispatched senior researcher Bryan Craig to mine transcripts for references to first years. He soon found a telling exchange with Jimmy Carter. Looking back at his early days in office, Carter confessed naiveté in thinking that, as an outsider president, he could keep the Washington establishment at bay, the way he had the Atlanta elites as a rural Georgia governor. “I underestimated that. I don’t think there’s any doubt about it,” Carter told the Miller Center in 1982. A little advice and a little inspiration sums up the essence of the First Year Project offerings. The sound clip would become the coda at the end of the introductory video the Miller Center features on its website and presents at events. In succession, the pieces started falling into place. By April 2015, the Miller Center’s governing council greenlighted the $1.5 million- to $2 million-a-year project. When all is said and the election done, will the right people read it? Will anybody read it? Will the First Year Project actually influence how the next administration gets down to the business of governing? You can find justification in the undertaking, even if, say, the First Year materials land in the mislabeled moving box the transition team never unpacks. The richness of the source materials, the rigor of the scholarship, the savvy of the strategic plan and the diligence in its execution all work to lift the stature of the Miller Center brand and, in the affiliated glory, that of the University. Hitchcock can envision the body of work serving as a new set of teaching tools. You can see the materials being discussed and debated across a range of disciplines—history, politics, government and foreign affairs, and leadership and public policy. 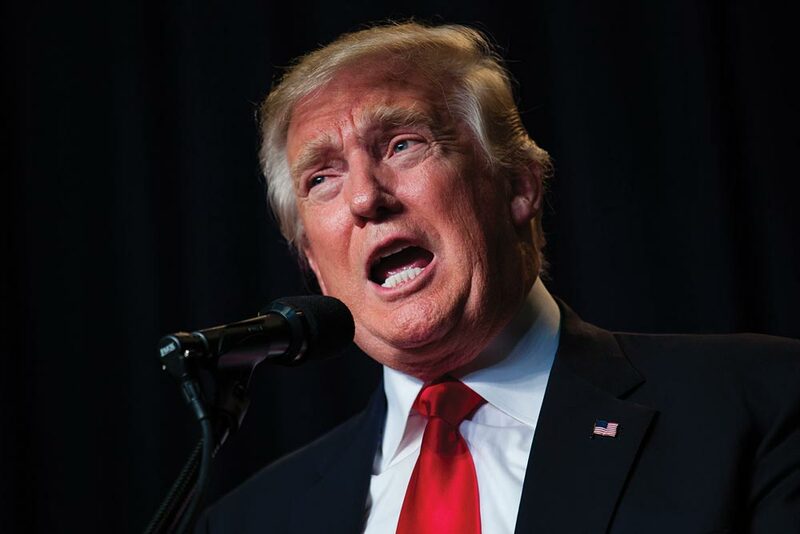 But beyond those intrinsic values, the question remains: Can First Year sway a president? If anyone is an expert on the inner workings of new administrations, it’s Card. He has had leading roles in three presidential transitions: coordinating George H.W. Bush’s move into the White House after Ronald Reagan in 1988-89, managing Bush 41’s handover to Clinton in 1992-93 and serving as Bush 43’s transition chief of staff when he succeeded Clinton in 2000-01. He recommends managing expectations. “Don’t presume that because you wrote it, it will be read,” Card says. Christopher Lu, executive director of President Barack Obama’s 2008-09 transition, agrees that transition leaders are pressed. “You have to understand, you’re getting a lot of incoming paper,” he says. “Making them as short and readable and as easy to implement as possible is really the key to making them relevant,” which he says the Miller Center is doing. Lu, currently the deputy secretary of labor and, before that, Obama’s cabinet secretary, participated in a Miller Center panel in Philadelphia during the Democratic National Convention in July. He also attended a related luncheon where UVA history professor Alan Taylor spoke on his essay examining Thomas Jefferson’s first year. Lu urges keeping one’s perspective. Will he listen? Will she? To the more specific point of whether a President-elect Donald Trump and his inner circle would make the time, or have the patience, for think-tank briefing materials, you can see facial expressions tighten, even in telephone interviews. “I pray that they do. My concern is that they don’t,” says Card, a Republican who has kept his distance from the Trump phenomenon. In May he told CBS This Morning he would more likely write in a name than vote Trump. “He’s not tasting his words before he spits them out, and there are consequences to that,” Card said at the time and reaffirms now. The Miller Center’s working assumption is that, of the major-party candidates, a Trump administration could actually have the greater openness to First Year intelligence. Antholis makes the point that even an outsider administration, or maybe especially an outsider administration, will need to have insiders at the operational level, and those senior-level people would appreciate the First Year materials. So would an outsider brought in to try to execute policy. Antholis compares it to a company outside the transportation industry taking over an airline: You can’t figure out how to fly the planes, manage schedules and keep track of baggage on your own. You need to rely on people with expertise. The tougher customer might be a President-elect Hillary Clinton. 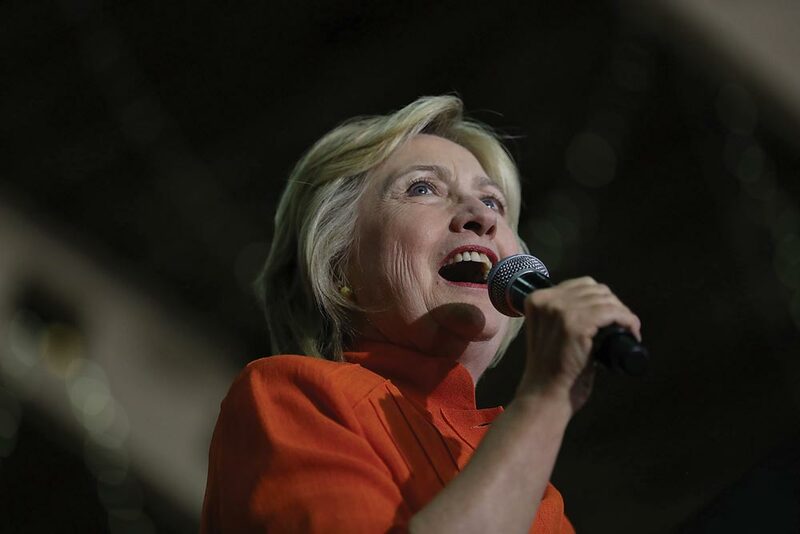 Having already lived eight years in the White House, spent eight years as a U.S. senator and served more than four years as secretary of state, she could argue she can teach the class herself. She will have no shortage of expert advisers. As Lu points out, her campaign chairman is John Podesta, White House chief of staff during Bill Clinton’s final two years and Lu’s boss during the Obama transition. “There is, hands down, nobody who knows the government better than John Podesta,” Lu says. Talbott’s team at Brookings is also creating briefing materials for the next president, this time calling it Opportunity 16. Bill Antholis (Col ’86) returned to UVA at the start of 2015 to head the Miller Center after picking up a Ph.D. in politics from Yale and having distinguished turns in academia and government. Talbott has been more than a spectator in Antholis’ career. In 2004, two years after Talbott was named president of the Brookings Institution, he brought on Antholis, who became his managing director. Antholis served 10 years at Brookings, where he retains the title of nonresident fellow. An earlier version of this story erroneously said President Woodrow Wilson took the country into the League of Nations. In fact, Wilson tried to do that but famously failed. We regret the error. S. Richard Gard Jr. is editor of Virginia Magazine. It is because of Leffler that I and my friends do not attend Miller Center functions anymore. He is as biased, rude, arrogant and unsavory as they come and any analysis of his regarding Bush 43 is going to be totally unbalanced against Mr. Bush and his administration. Leffler is a Bush hater through and through. 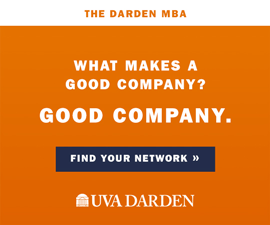 This is UVa after all.